Healthcare Licensing Services, Inc. specializes in helping physicians apply for medical licensure in the state of Indiana. We will research your entire professional history from Undergraduate School to date to obtain information such as mailing addresses and contact information for the purpose of verifying your credentials to the Indiana Medical Board. We are also able to research Medical License numbers, issue dates, and expiration dates. We will assure you professional completion of your Indiana medical license application, as well as professional completion of all letters and forms necessary to request verification of your credentials for the Indiana medical board. Your Indiana Medical License application will be assigned to one file manager in our office who will be your point of contact. You will have continuous access to your file manager during the entire application process. An update on your file will always only be a simple phone call or email away. 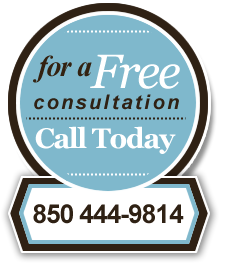 Click here to contact us and learn more about our Indiana medical license service. Indiana, the Hoosier state (and no, no one seems to know where the term ‘Hoosiers’ comes from! ), is home to a wide range of cultural attractions and geographical beauties. Indiana is the home of the Indianapolis 500, one of the most famous car racing events in the world, and the Lilly Library, one of the finest research libraries in the world, at the University of Indiana in Bloomington. The pharmaceutical company Eli Lilly is based in Indianapolis, and Indiana as a whole has one of the world’s highest concentrations of pharmaceuticals-related jobs. Historically, it’s been an agricultural state, and so between practice and research, there’s a wealth of opportunity in Indiana for those with medical training and backgrounds.